Penelope's Portfolio: What's in Your Cart? Wow! The holidays are quickly approaching, and so are sales!!! Teacher's Pay Teacher's is having a HUGE sitewide sale November 30th, and December 1st, and many stores will be participating. Woohoo! My entire store will be 20% off. 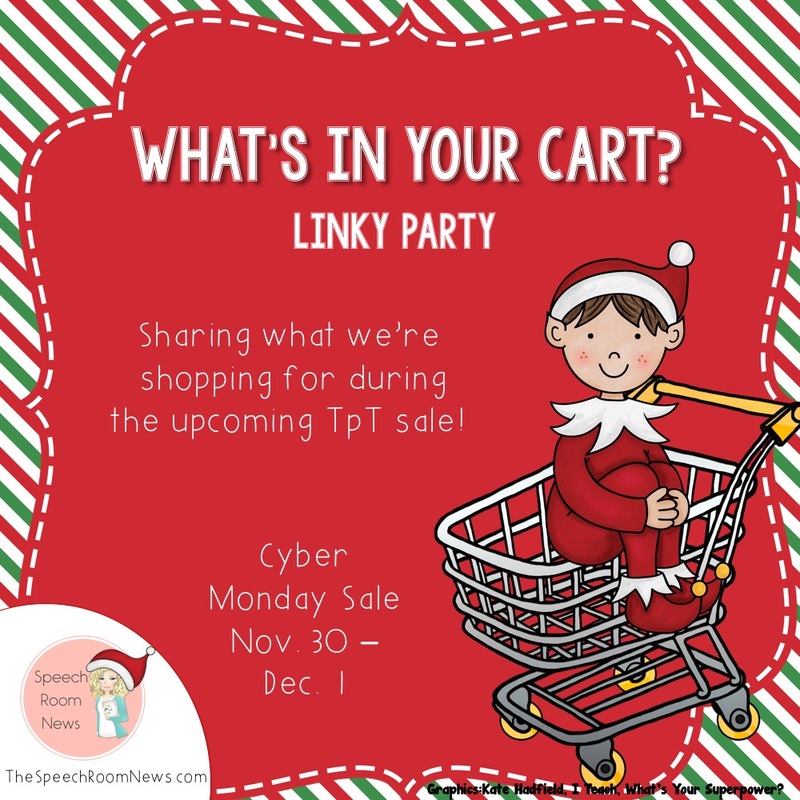 So go shopping, and while you are there, don't forget to use the TpT promo code provided on TpT for additional savings, (that's 28% off at my store and many other stores too)! While I aim to count my blessings all year long, this time of year seems to be particularly appropriate for thinking about thankfulness/gratitude. 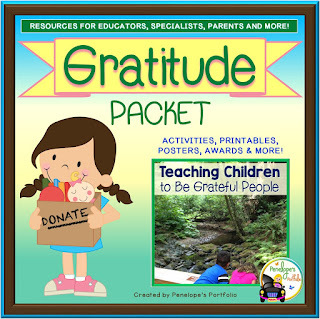 With November focusing on Thanksgiving, and December focusing on gift giving and receiving, it's the perfect time to teach the concept of gratitude to children. This Gratitude Packet is filled with activities, printables, awards, posters, and more, and is on sale now! 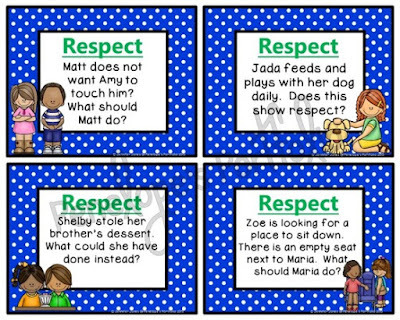 I'm really excited about these new Respect Task Cards I just made! They make a perfect edition to any character education program and may be used in groups, by themselves, or as a class. Teaching suggestions, a list of all 40 questions, and a teaching guide are also included. They are also on sale now! 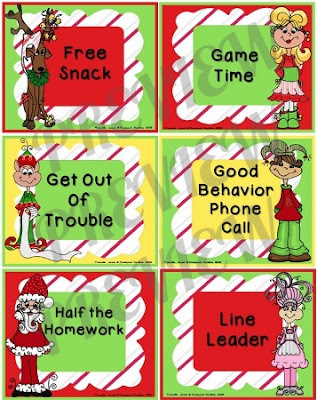 Reward coupons are a fun way to recognize positive behavior. 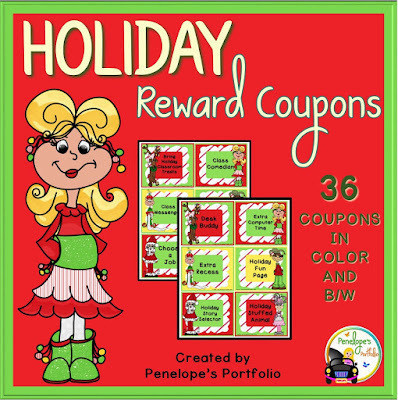 These Holiday Reward Coupons are colorful, festive, and work well during the month of December. They come in color and black and white, and are on sale now! I hope you find these resources useful. 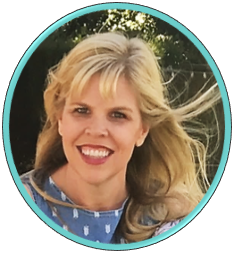 My products are intended to be used by teachers, parents, homeschooling parents, SLPs, SPED, counselors, social workers, and other specialists. I just love Educlips! They have such great clip art which covers so many subjects. 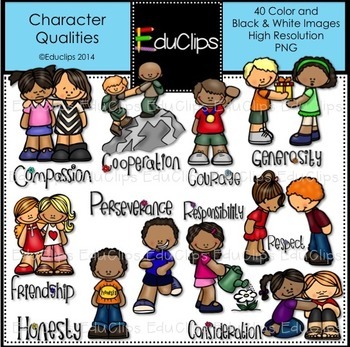 I've had my eye on this Character Qualities Clip Art Set for some time. Aren't these little guys great? If you like these, you might also enjoy, the Manners Clip Art Bundle too. I own it, and it's one of my favorites! Whimsy Clips is another is another one of my favorite Clip Art TpT Stores. 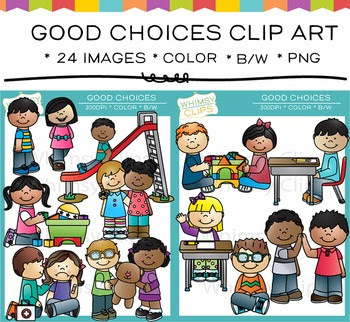 This Good Choices Clip Art speaks to me, and I can't wait to use it! If you are looking for clip art to compliment this, check out the Bad Choices option too. Have you seen Kelly Workman's store yet? I love her products! 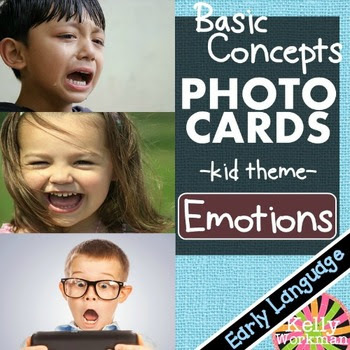 Her Emotions Photo Cards teach students to identify emotions in a fun way. You can check them out here. She also has a wide variety of Dice Decks available, complete with teaching suggestions, answer sheets, and more, so be sure to take a look around her store, while you are there. You can check out her Dice Decks Growing Bundle here. So, what's on your wish list? If you would like to share your wish list, and link up too, head on over to Jenn from Speech Room News. Hope you have lots of fun at the sale! These suggested products look great! I'll be looking at them for sure! Love the Grateful Behavior product! Thanks for sharing. So many great suggestions! Thank you for sharing! What a great list! The Behavior product looks awesome! Thank you Linda. I agree. It sure is important that students understand why they need to show respect. Thanks for stopping by! Your reward cards are adorable! 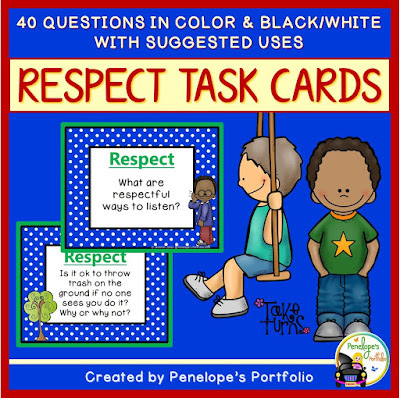 Love the respect task card set! I will recommend it to my middle school SLPS! Thank you Heidi Britz! Thanks for stopping by. The reward coupons are super cute! Teacher's Pay Teachers Cyber Sale!